…for her new American “temporary citizens.” Since its inception in 2001, the Umbra Institute has had over fifteen hundred American study abroad students pass through its door to take classes (in wood-lined halls and under ceiling frescoes) in its buildings in Via dei Priori, Via Marzia, Via Danzetta, Via Mazzini, and now in Via Bartolo. Students learn not only within the Institute’s walls, though: co-curricular and extra-curricular activities, as well as the exploration and observation that the city itself encourages. 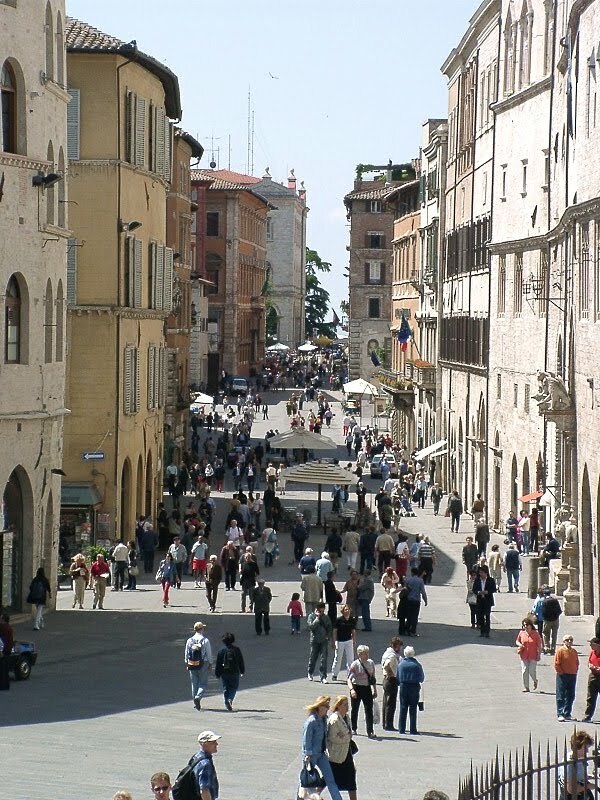 The Umbra Institute is perhaps the mediator, but the City of Perugia itself the host. 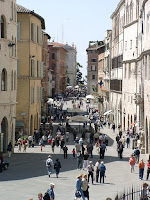 Perugia now has returned to some semblance of normality after the August invasion of daytrippers. The Dutch no longer crowd Caffe’ Morlacchi, the Steps of the cathedral are now host to returning university students, not groups of Japanese schoolchildren. The holidays are over and its time for the newest of the city’s temporary citizens to arrive. Tomorrow the first group, students who will participate in the Full Immersion program, then Friday the rest of the Class of Fall 2010. The staff looks forward to sharing the city they love (and live every day) with you!